More and more I am finding that I have an absolute need to write. As I get some clear picture that I must share or lately if I am feeling like I need to be grounded, I write. It calms me and it gives me something to give away. I like to give but I don’t always have a ready bouquet of flowers or bundt cake to give to whomever will take them. But with this blog, I can give away my words, my thoughts and perspectives, and usually, at least some one person will take them. I was reading earlier in 2 Kings 4 about Elisha and the widow in debt and in danger of losing her sons because of it. She had one thing, and limited amounts of it but Elisha told her to get every container around and even go borrow some more and fill them up. Her two sons went to collect them and when every last vessel was filled, the oil went dry. The next day the demanding debtor was paid and the rest of the money was for the benefit of the widow and her two sons. 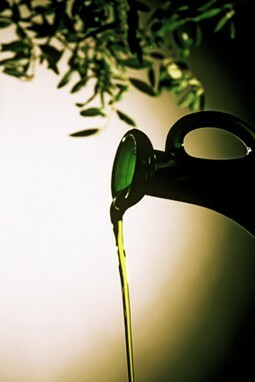 That made me ask God, “What exactly is my oil?” What is it, if I can nail it down to just one thing. I was busy today and I felt like I needed to write for a moment this evening, for that grounding. This is what I came up with. My most precious and steadfast commodity is my ability to communicate truth, help/serve, give direction, and lend various skills—along with dosing out Spirit-led encouragements, directed just for the person I am working with. It is my commodity. I found my oil. And I found it by asking God that question and then later by sitting with my hands readied to write on my computer keyboard it just came out. What commodity do you have to share, to make money with, to exchange for something important—like your sons’ lives? And, how can I and Audacious Consulting & Media help you? Maybe you don’t even know what it is that you need help with because you are stuck where you are at—there is help to pull you out and get you moving towards your dreams and destiny!